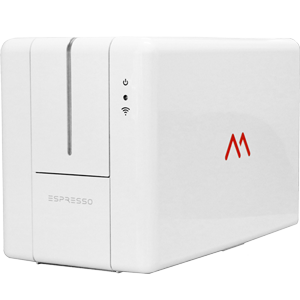 The Matica Espresso is a compact and powerful desktop ID Card Printer that is the brain-child of Italian design and engineering and reflects German reliability in consistent performance. It offers great value and versatility with superior print speed and outstanding print quality. With its robust and durable construction, the Espresso looks and works great in any office or card production environment.